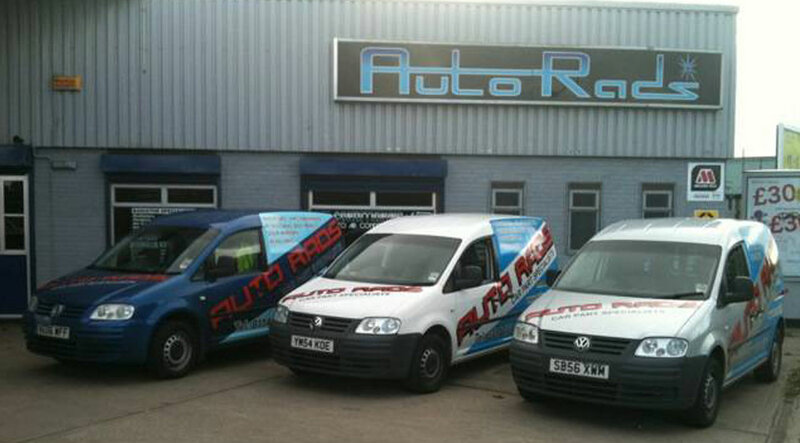 Autorads was originally established in 1977 supplying and repairing car, commercial and plant radiators. In 1983 we began to supply car panels, to major crash repair centres and insurance body shops as well as the smaller garages. Today we still supply brand new car and commercial radiators, we still repair and custom build all types of radiators from cars to earth movers, and we carry the largest stock of radiators in South Yorkshire. Our warehouse is home to a huge stock of car body panels, lighting, door mirrors, air conditioning parts, plus much more and we supply both trade and private customers, and specialize in taxi parts. Autorads prides itself on many years expertise and knowledge in the motor industry and supplying quality car parts at competitive trade prices. We provide free local delivery throughout Sheffield, Barnsley and Rotherham and also shipping where possible. We accept most major credit cards.